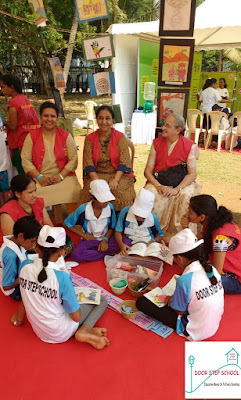 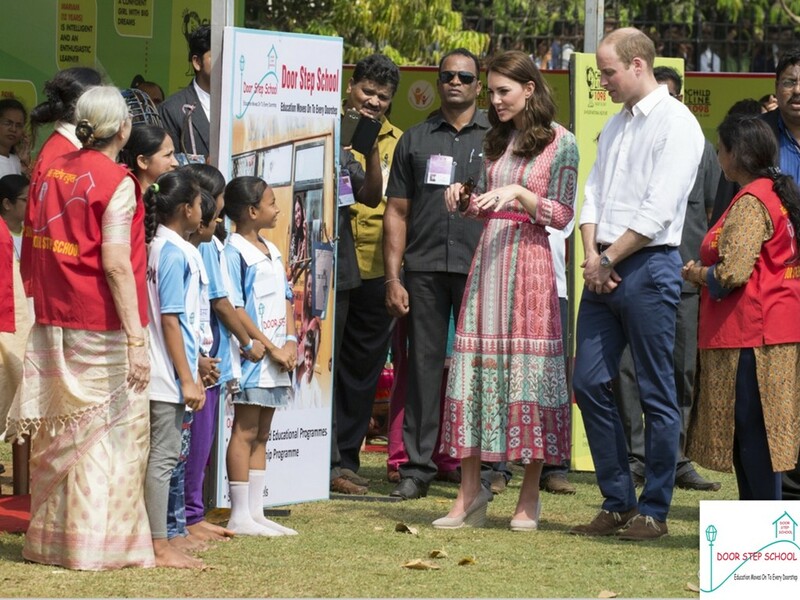 All set up at the tent at Oval Maidan to meet the Duke and Duchess of Cambridge. 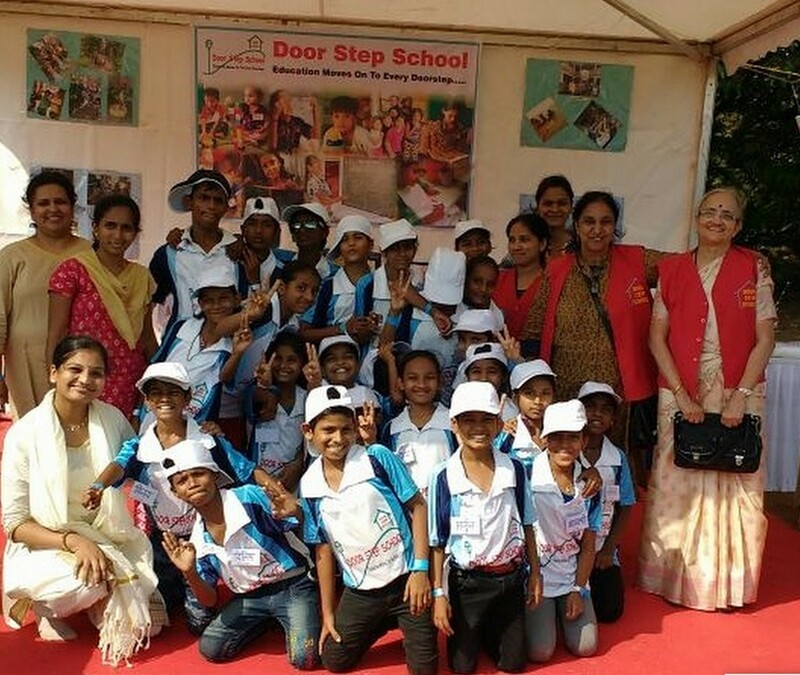 Door Step School children and staff all set to meet the Duke and Duchess of Cambridge. 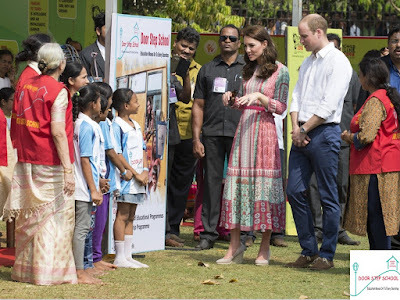 William and Kate meet the youngsters from Door Step School. 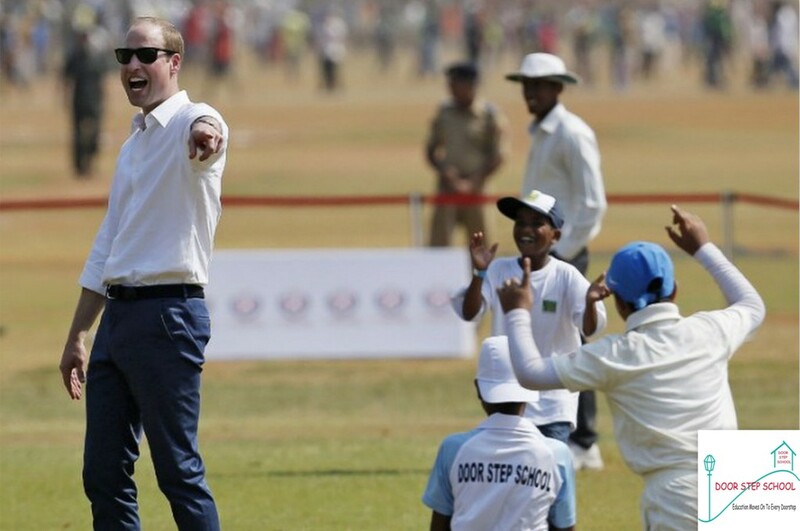 Duke of Cambridge playing with Door Step School kids. 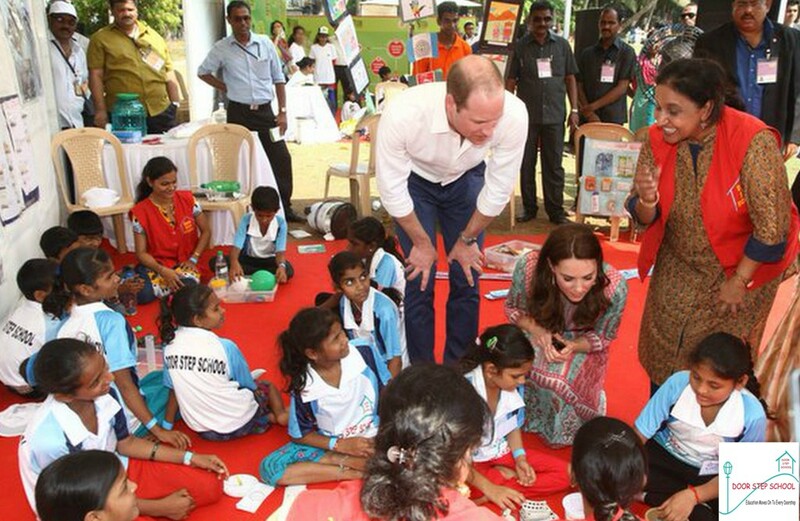 Duke & Duchess learning Hindi with Door Step School children. 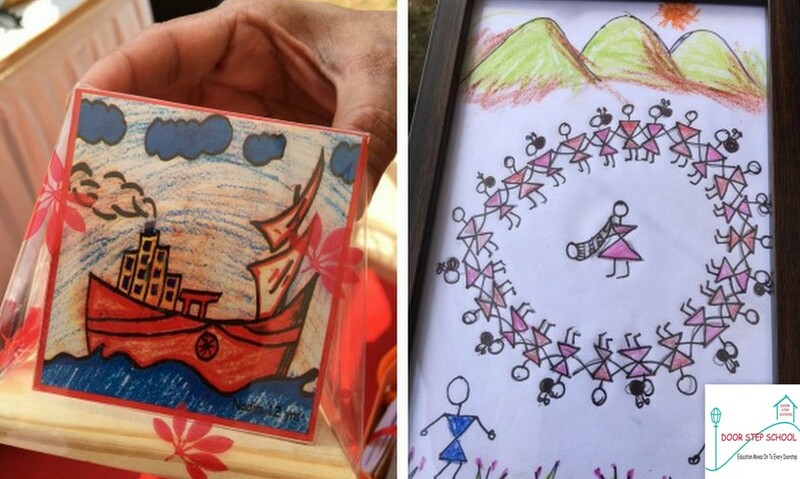 Handmade gifts for Duke and Duchess of Cambridge from Door Step School children. Passing on the Baton of Education!